Terminus (filmed 1960, released 1961). TERMINIUS, John Schlesinger's documentary filmed in August, 1960, about a day in the life of Waterloo station in London, was shown on Talking Pictures TV tonight. One scene in it was truly appalling. Schlesinger wanted to film a lost child's reaction to being left on the station by his mother. He persuaded a woman named Margaret Perry to do this to her unsuspecting five year old son, Matthew. She left him there telling him she would be back in a minute and never came back. It was a complete set-up, but the boy didn't know that and, as more and more time went by, he became more and tearful and upset, crying for his mummy and sobbing uncontrolably until a policeman spots him and takes him to the station office, while an appeal for his mother is put out over the station's tannoy system. The boy's obvious distress looks real because it is real, but what a damn cruel thing for Schlesinger to do to a small child. Somebody should have severely reprimanded him and pulled him over the coals for doing that. After finding out that he did this, I lost all respect for him. It was a clear case of child cruelty. And to think that the child's own mother was involved in it too. She should have been ashamed of herself. No mother who loves her child would have put him through that. It was and remains an absolute disgrace! A well-known story, at least to me. Can't remember where or when I heard/read it though. The mother was actually Margaret Ashcroft, wife of Morris Perry, who later starred in The Main Chance. There must be countless examples of directors giving actors a hard time in order to get the performance they want and manipulate the audience. Samantha Eggar was put through the mill in The Collector (notably the scene where she's dragged in the pouring rain by Terence Stamp) and Virginia Cherrill had a bad time of it for two years, on and off, with Charlie Chaplin in City Lights, resulting in possibly the greatest - and certainly most emotional - scene of all time: the moment the blind flower girl realises her 'millionaire' benefactor is a poor and humble tramp. I'm sure Matthew hasn't begrudged the also brilliant Mr. Schlesinger after all these years, assuming he's seen the finished product more than a few times. Thanks for the info and the link, cornershop. I'm sure that adult actors and actresses are able to look after themselves when filming a scene and always have the option to walk off the set if they don't agree with what's going on. But I can't abide someone being cruel to a child and making them very upset just so their distress can be filmed. If Schlesinger had done that to me when I was five, I would have hated him for the rest of my life. A very distressed 5 years old Matthew Perry in TERMINUS (1960). The film was quite well received at the time, though I can't say I thought much of it when I saw it a while back. 'Talking Pictures' were showing it in 4:3 which is clearly the wrong ratio for a 1960 film. I couldn't work out whether they were showing it 'open matte' or pan-and-scan. I suspect the latter. Part of the film's original appeal, in fact, was the apparent magic Schlesinger had worked capturing real events and making them dramatic. In retrospect, his magic was really about filming drama and making it look real. The shoot took just about two weeks. For the old woman he brought in the aunt of his friend Roland Curram, who said "Aunt Gertie" had a wonderful time working with John, hitting all the marks and sounding every bit as bewildered as he wanted her to sound. He also brought in actors to play the gang of prisoners and photographed them through a fence, foreshadowing their life behind bars. Then there was an actress who quite beautifully essayed the part of a woman carrying flowers to meet an incoming train. John had considerably more trouble, however, finding the little lost boy. He tested a few children from drama schools, but found them all so "hardboiled they couldn't care less if their mothers left them." He finally settled on his brother Roger's wife's nephew, who seemed to have the right sensitivity. Even if John needed to nudge him into theatrical tears, he figured it was in the kid's blood: he was also the grandnephew of Peggy Ashcroft. The scene would be shot backwards, John decided. "We had pre-lit the railway station office, where the lost child was taken to wait until his mother could be found," he recalled. "We sat him on a case. And it was then that the mother actually went away and the crying began." Cinematographer Ken Higgins, whom John had borrowed from the BBC, quickly moved in with his camera. "I suppose," John reflected later, "one is so intent on getting the effect one wants that one ceases to be a humanist at that moment." But more was still needed. "We needed him really bawling," John said. The boy was old enough to realize they were shooting a scene; the camera was right there, and Mummy couldn't be too far away. So he offered the boy a bite of chocolate. When the child wanted more, John withheld it: "That's when he cried best, and the camera was ready, and we got all his facial reactions, which we used." That's the shot we see at the start of the scene, the desolate little boy in the middle of the station, all alone, crying furiously. Except that his tears aren't ones of terror: they're of rage. Well, cornershop, if that's what Schlesinger said in an attempt to excuse himself probably after complaints had been made, I don't believe a word of it. 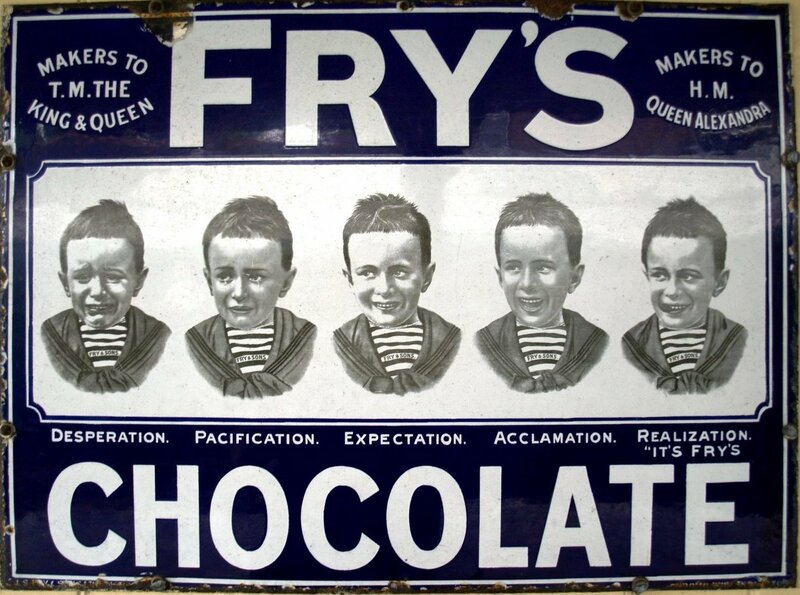 You can't get a child to cry like that just by withholding a piece of chocolate. He genuinely thought his mummy had deserted him. The shots on the station were probably done at a distance with a zoom lens, so the boy felt completely alone. You can't get a child to cry like that just by withholding a piece of chocolate. All together now........"OH YES YOU CAN" . Then you've got Ricky Shroder, who cried more in Champ than you can imagine possible, in an outstanding performance that is entirely coming from the boy's imagination and the director's ability to help him use it. It can be done, but nobody wants to think it was done with anything approaching real cruelty.